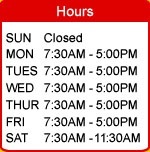 Ronk Auto is a full-service auto repair, preventive maintenance, and exhaust system center. We have been performing our high quality and guaranteed auto repairs in the Ronkonkoma area since 1980. We are in business 29 years, 2nd generation. Shop is 10,000 sq. ft., 9 bays or lifts, 8 mechanics. We have all the automotive diagnostic equipment and personnel to handle most any problem your car can have. We do fleet work up to 15,000 lbs. We guarantee all work for 1 year or 12,000 miles, whichever comes first. 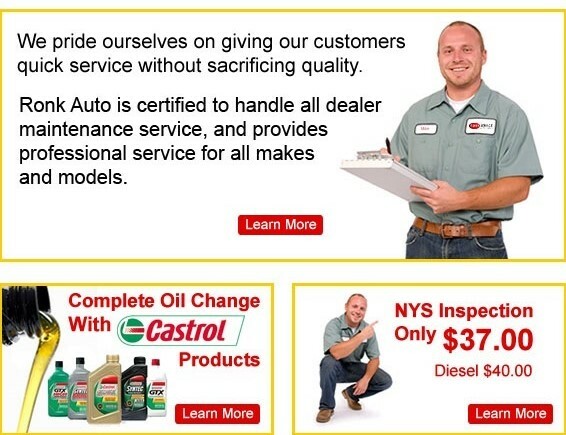 We can do anything from an oil change and NYS inspection to a full engine replacement.